Before Tudor City View, the enclave's monthly magazine, there was Tudor City Service, a similar journal devoted to neighborhood goings-on. 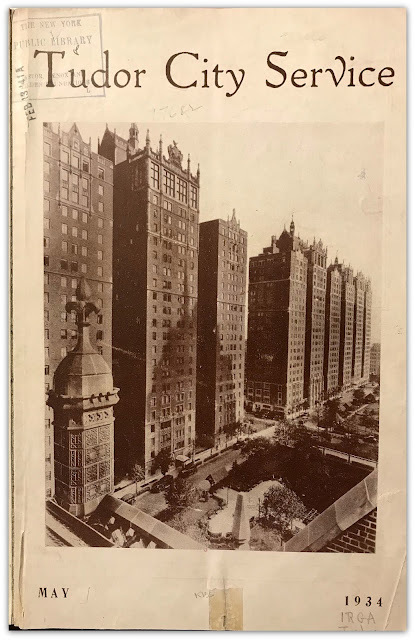 Edited by W.L. 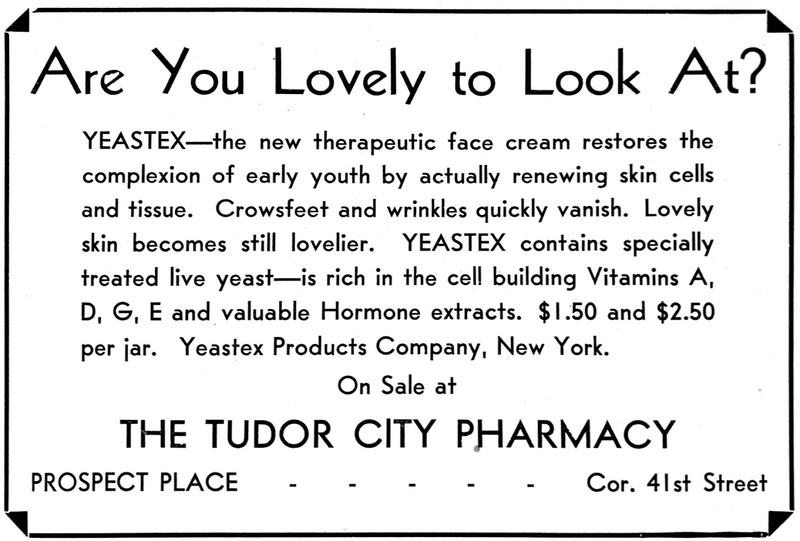 Lightfoot, it had a frankly promotional tone ‒ it was underwritten by the French Company, after all ‒ highlighting the good news and skirting the bad. 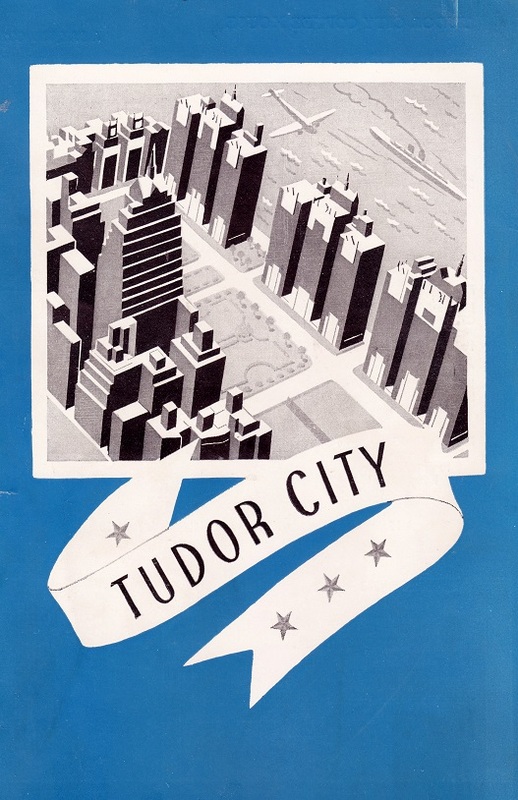 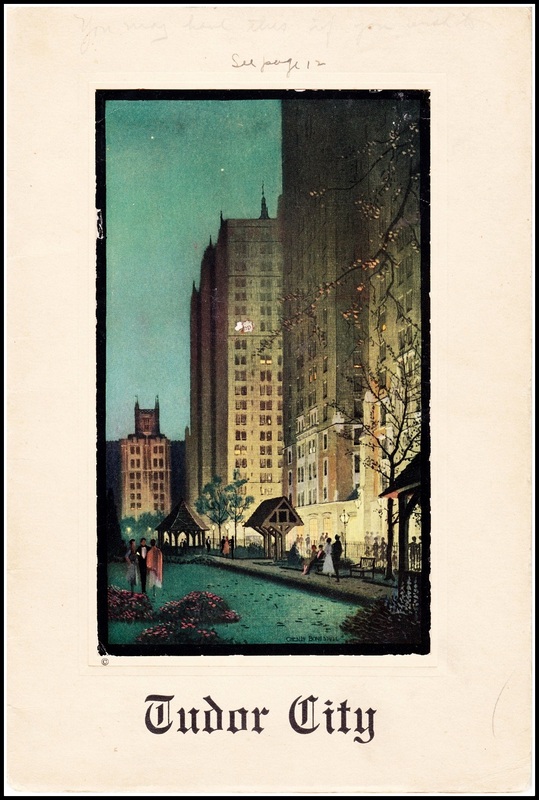 Tudor City Service was published from May 1934 to June 1938, then changed its name to Tudor City View in July 1938.
and the North Park on its cover. 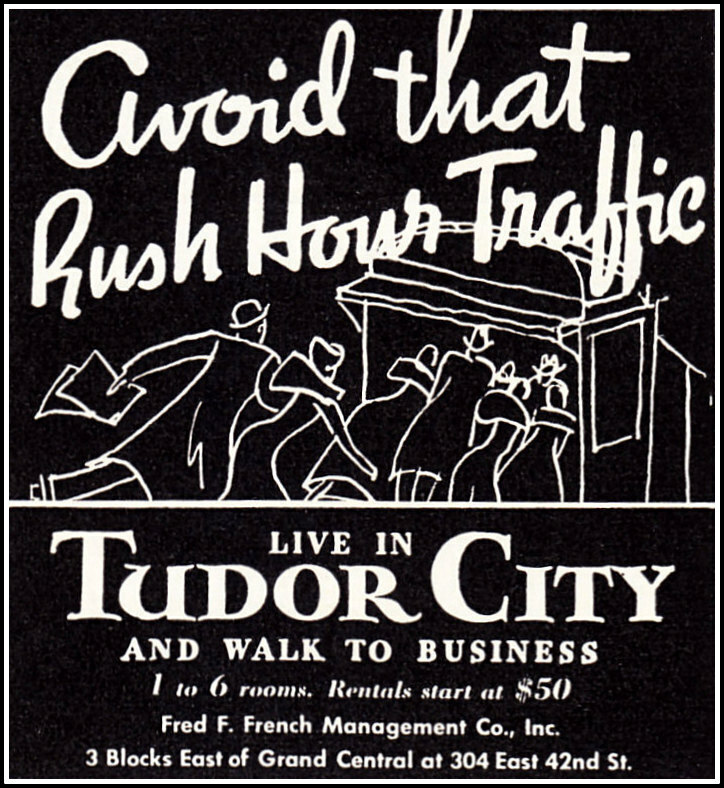 More early issues. 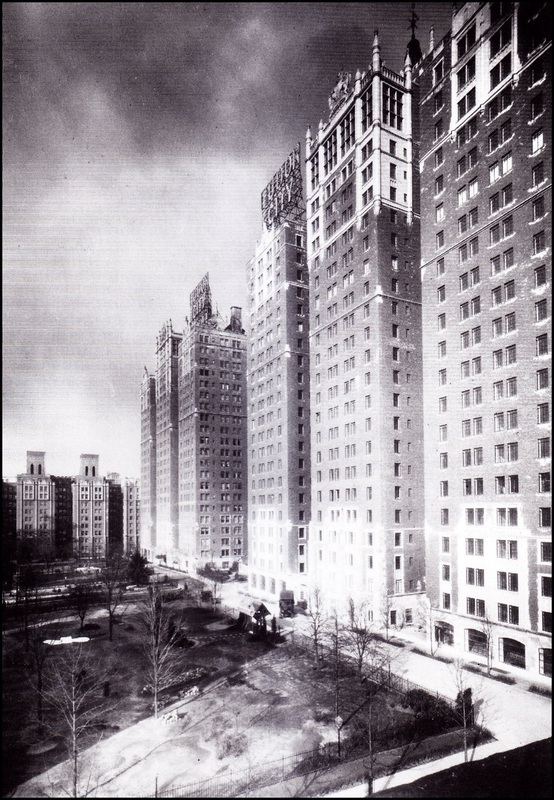 From left to right, No. 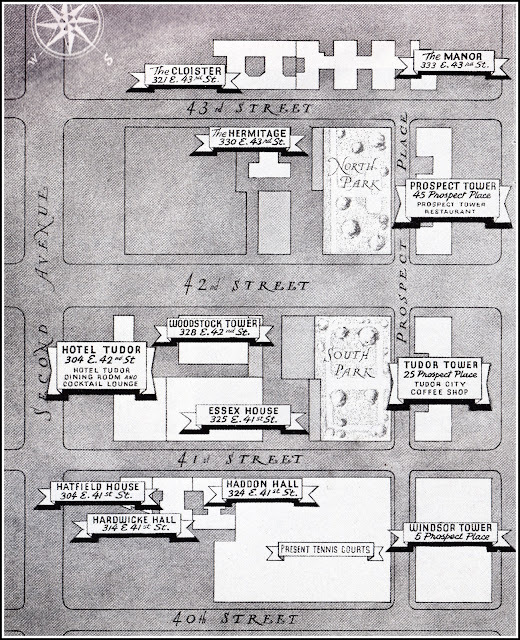 45, The Woodstock, Hotel Tudor and Essex House. 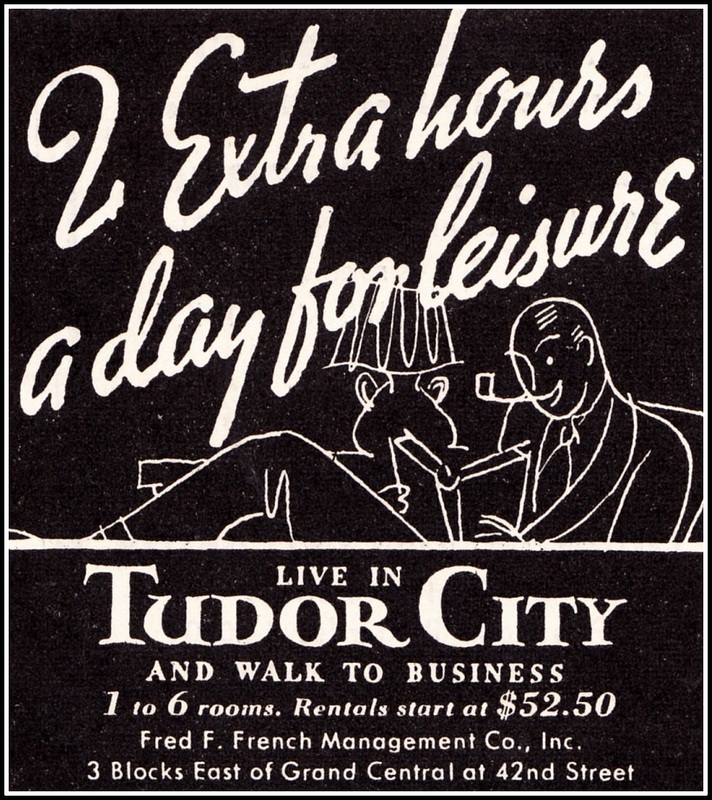 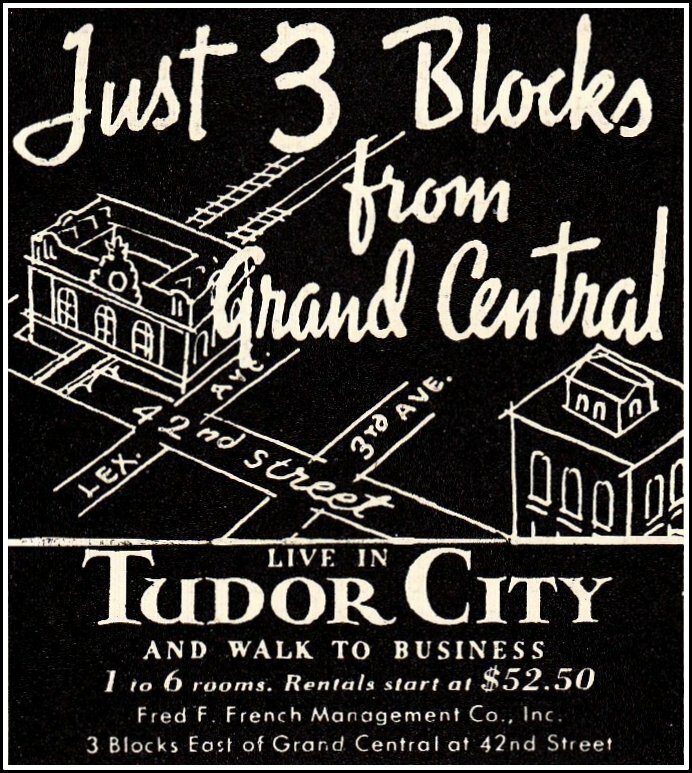 We'll be featuring more content from Tudor City Service in future posts. 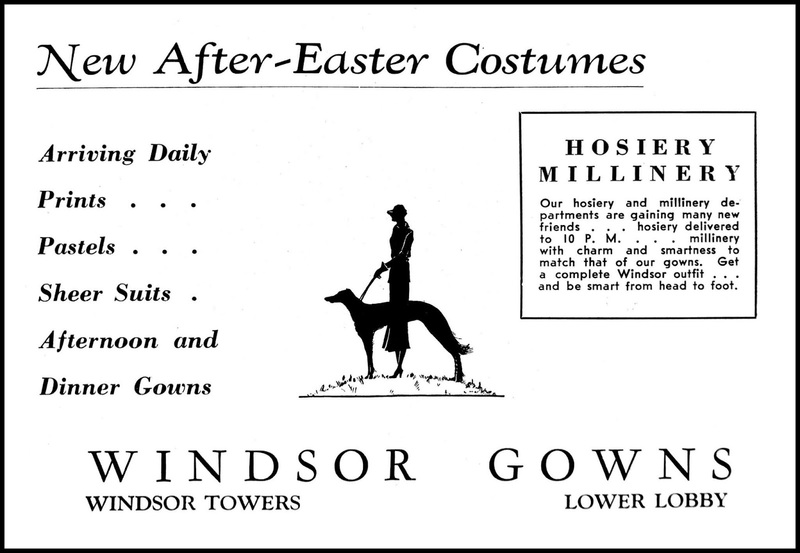 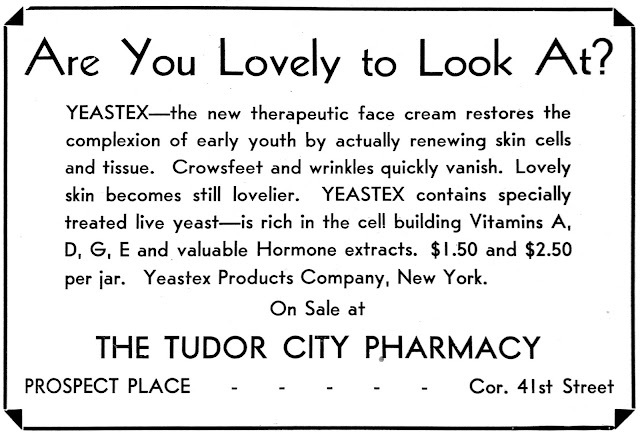 Today, some select ads from its pages for the colony's shops and services, circa 1934.